Last year, we wrote a blog about the importance of mobile, looking specifically at AMP pages. 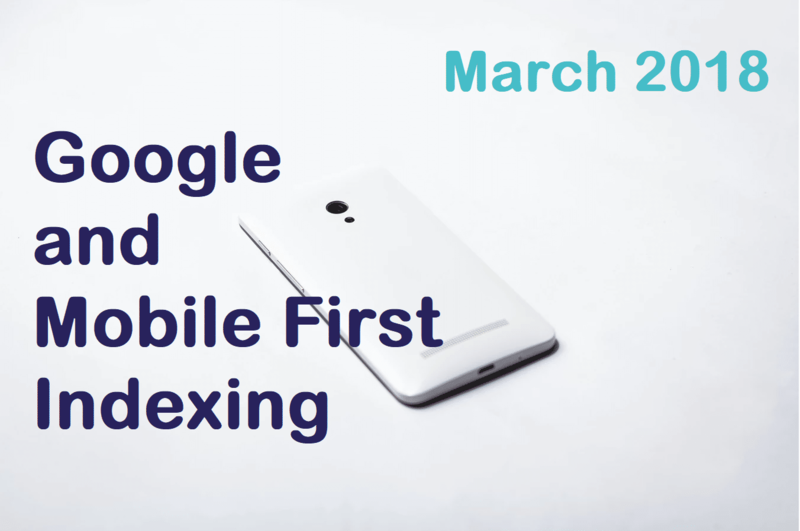 In this blog, we stressed that Google would be rolling out a mobile first index, at some point this year. Google announced on Monday 26th March 2018 that they would begin a slow roll out of mobile first. This has been a long time coming, and Google have uncharacteristically provided quite a lot of warning. In November 2016, they explained that because most people were now searching on Google using a mobile device they had begun experiments to make their index mobile first, rather than desktop first. Indexing websites based on the desktop versions of their pages was becoming a problem, because their algorithms were not actually looking at the version seen by a mobile user. They provided some core advice for websites, stating that if your website was responsive or a dynamic serving site where the main content was the same across desktop and mobile then you wouldn’t have a problem. However, sites where the content and mark-up differed across mobile and desktop would have some work to do. ‘Mobile-first indexing means that we’ll use the mobile version of the page for indexing and ranking, to better help our – primarily mobile – users find what they’re looking for’. Google have said that after a year and a half of careful testing, experimenting, and thinking, they are now starting to roll out the mobile first index, and have already started to migrate sites that are following best practice when it comes to mobile-first indexing. This doesn’t mean they’ll have a separate mobile first index. They’ll continue to have ONE main index for serving search results. It just means that this main index will be using mobile versions of webpages more than desktop versions. If you have a desktop only website, responsive web design, or canonical AMP then nothing will change. This is because your mobile version will be the same as the desktop version of your site. If you have separate URLs for desktop and mobile, then Google will favour the mobile URL when indexing. If you are using dynamic serving, where your website provides different content based on whether someone is viewing on mobile or desktop, then Google will favour the mobile content when indexing. Serve structured mark-up for desktop and mobile versions of your site. Avoid adding large amounts of mark-up to a mobile site that isn’t relevant to the specific information content of each document. Utilise the txt testing tool to confirm that your mobile version is accessible to Googlebot. If you have only verified your desktop version in Search Console, then you must add and verify your mobile version, too. If you only have a desktop site, they will continue to index it normally, even if they’re using a mobile user agent to view your site. If your mobile site has thinner content than the desktop version, then think about updating your mobile site so that its core content is the same as desktop. Make sure that page title tags and meta descriptions are the same across both versions of your site. What Does our Director Say? Mobile-first is yet another move by Google to adapt to the evolution of technology and user behaviour. It’s about improving user experience. 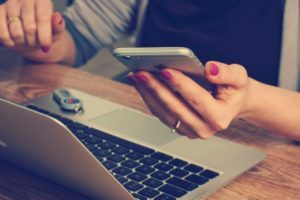 The mobile shift has been occurring for many, many years, but I still come across puzzled faces when I ask business owners when they last audited their website using their mobile phone rather than desktop. As website owners, we need to accept this change and make it our main priority to adapt our views and processes to compliment this trend and succeed online.